Alex Granato and Carlchen W, Winslow Photography LLC. 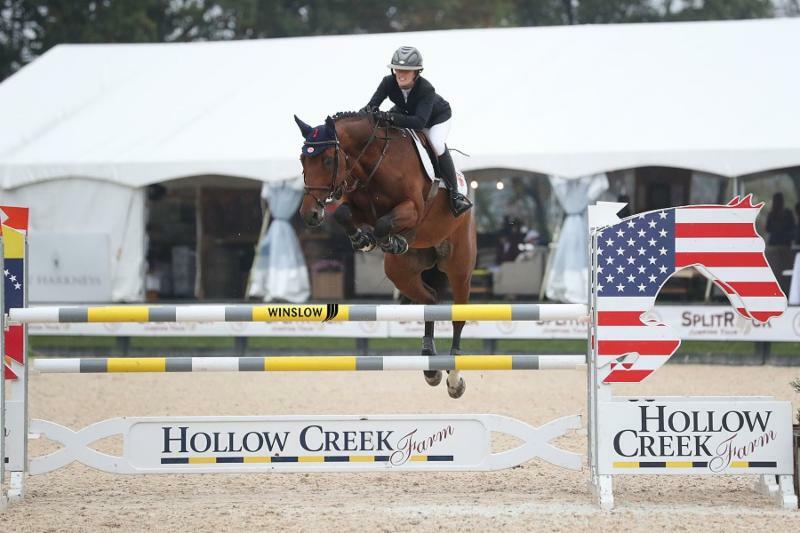 Columbus, Ohio - October 6, 2017 - The $40,000 Amalaya Investments 1.50 Meter Welcome was the featured event on the card at the Split Rock Jumping Tour's Columbus International CSI 3* held at the Brave Horse Show Park in Johnstown, Ohio. 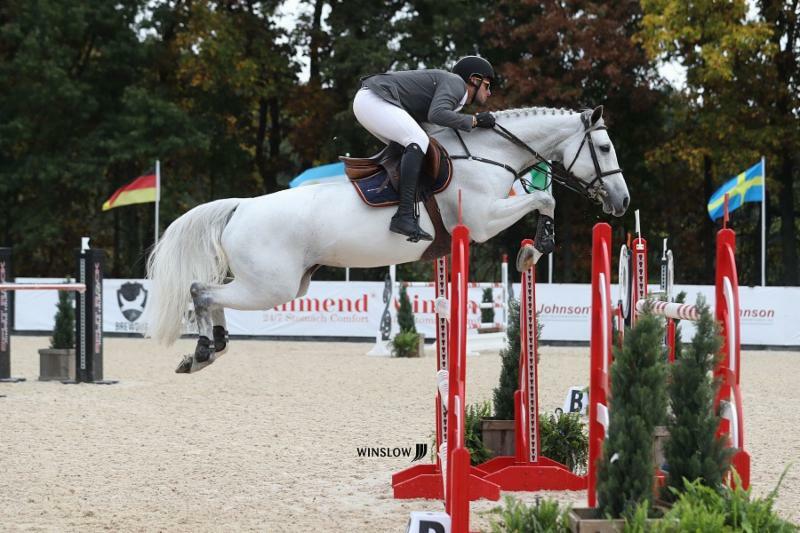 Carlchen W, a 9-year-old Mecklenberg gelding owned by Paige Tredennick, and rider Alex Granato, USA, were one of eight horse and rider combinations out of 46 starters to make it around two-time Olympic Course Designer Olaf Petersen's extremely tough track. Alex Granato with Carlchen W. Winslow Photography LLC. The jump-off was just as demanding, with only Granato and David Raposa, USA, on S & L Sage, able to turn in clear rounds. Raposa, going first in the jump-off, had the disadvantage. Granato went in the ring and turned in a much quicker round, 48.63 seconds, to take the class. Raposa, with a time of 50.42 was relegated to second place. "This horse is a real competitor," said Granato. "He is probably more game than I am to go in and win each time. We have a long partnership, I have had him since he was a five-year-old, so four and-a-half years together. We know each other quite well at this point. He has had a super year." Emanuel Andrade aboard Jenni's Chance. Winslow Photography LLC..
Emanuel Andrade, VEN, and Jenni's Chance were the winners of the $5,000 Booth Show Jumpers 1.40 Meter Speed/U25 Welcome Stake. With half of the class turning in clear rounds, it became a speed duel, and Andrade excels at getting speed from his horses. The winning ride was clocked at 54.971 seconds. Tina Yates and Cicomein VDL, owned by HKC Collection LLC placed second in 55.214 seconds with Andrade and Boy IV, 57.098, in third. When asked what his secret to success has been over the two weeks of SRJT's Columbus events, Andrade just smiled and said, "Ohio likes me!" Sloan Hobson with Costa Rica VH Waterschoot Z. Winslow Photography LLC. 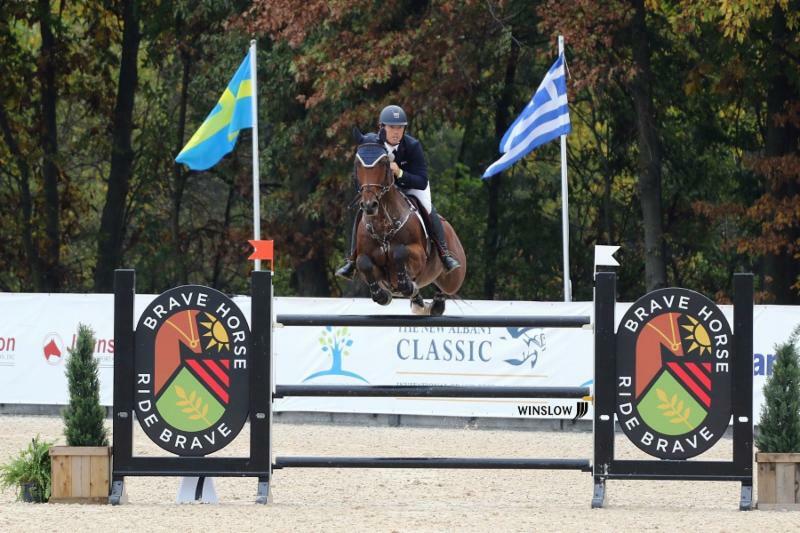 Sloan Hobson and her Costa Rica VH Waterschoot Z denied Francesca Bolfo a sixth trip to the podium at the SRJT, as she and 'Costi' took the blue ribbon in the 1.40 Meter Junior/Amateur Owner Speed class. Bolfo had been at the top of the leaderboard, but Hobson, last to go in the class, took the lead in 64.258 seconds. "She is a 9-year-old mare," said the diminutive 17-year-old. "I've had her for seven months now. She has been really good for me and I love her a lot." Ariel Bluman and Euphoria. Winslow Photography LLC. The 1.30 Meter Junior/Amateur Owner Speed class was won by Ariel Bluman, who rides internationally for Israel and R J Equestrian Group's Euphoria. They posted a clear round, one of only six from a starting field of 25, in a time of 58.976 seconds for the win. 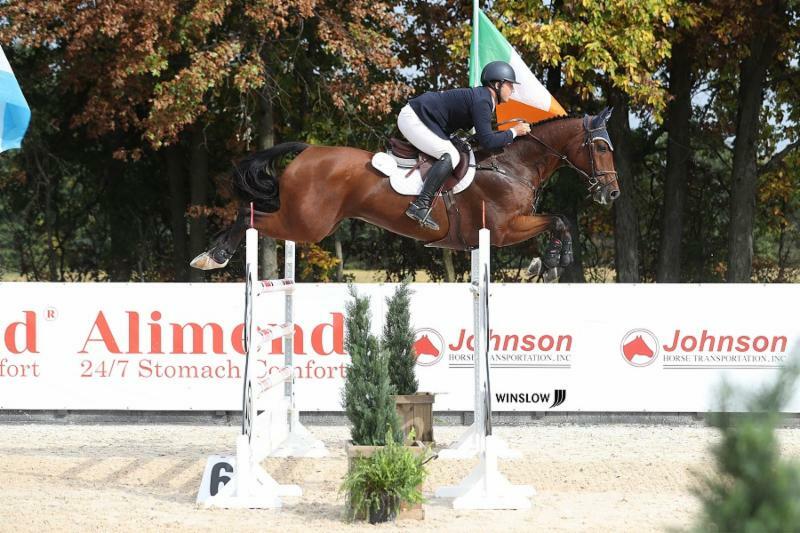 Second place went to Douglas Masters and Uno Z, owned by Chris Richards, who jumped clear in a time of 62.436 seconds. The FEI classes include the $35,000 CSI3* 1.45m Hollow Creek Farm Speed Cup, $40,000 Amalaya Investments CSI3* 1.50m Welcome Class and the $130,000 CSI3* 1.55m Split Rock Farm Grand Prix. The highly anticipated SRJT social event, "The Lugano Diamonds Party," will take place at Brave Horse on Friday evening, October 6. Admission is $150 per person. Following the dinner, there will be a private concert, included in the dinner admission, by well-known country singer, Sam Riggs! The Split Rock Jumping Tour is modeled after successful European shows and gives competitors, sponsors and spectators an "Unparalleled Show Jumping Experience" by changing the way show jumping is presented in the U.S. Split Rock offers competitions at world-class venues along with top prize money, extravagant awards and numerous first-class amenities for riders, owners, sponsors, and spectators, with close attention paid to every detail. 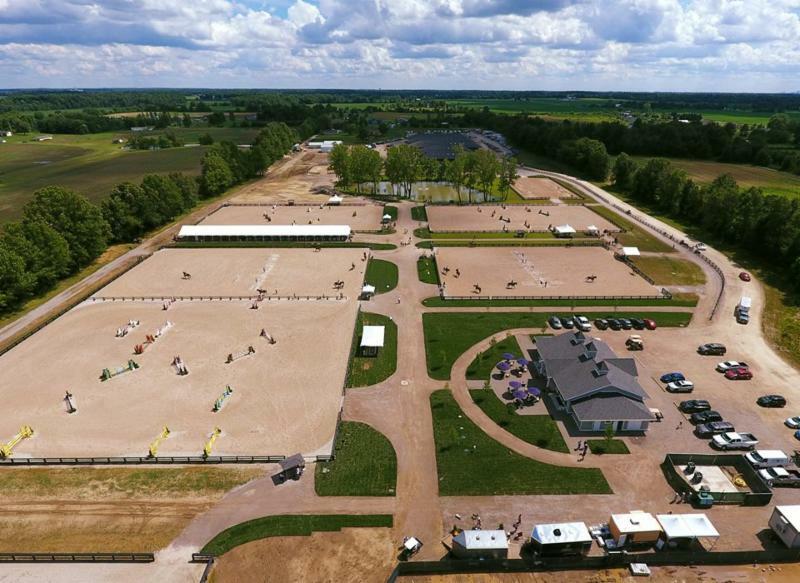 The new facility is a 75-acre premier equestrian showgrounds located minutes outside of Columbus in Johnstown, Ohio. 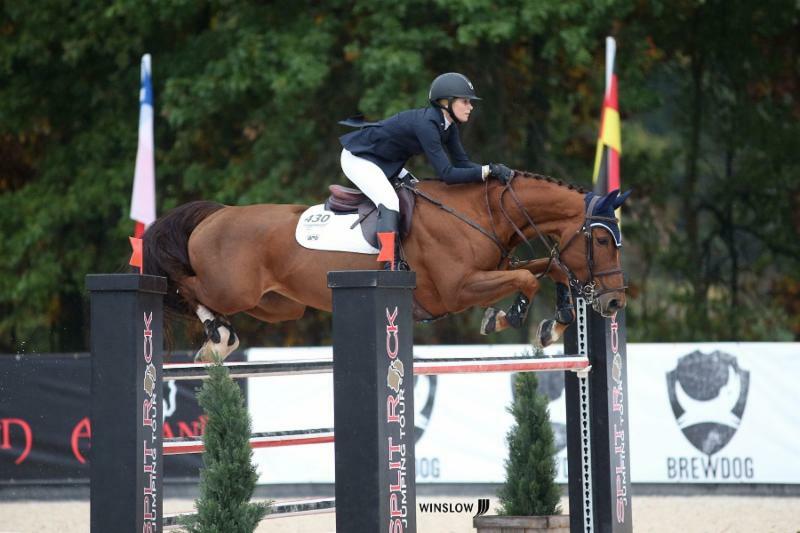 The facility debuted its first hunter/jumper show season in 2016 and operated at capacity. The showgrounds feature a meticulously planned layout with 250 permanent stalls, each measuring 12'x12', with 16' aisle ways and a 20' high ceiling. The expansive property includes multiple rings and riding areas and the Grand Prix Ring, one of two to be used for competition, is 250' x 350'. All rings have state-of-the-art-footing and the Grand Prix ring features in-ground irrigation. The showgrounds also take advantage of the picturesque Ohio countryside, with expansive tree-lined vistas and water features throughout the grounds. SRJT Columbus International Official Photographer: Winslow Photography LLC. For more details about the Split Rock Jumping Tour, please visit www.SplitRockJumpingTour.com or call 859-252-3247. Online entries can be found at: www.splitrockjumpingtour.com/competitor.